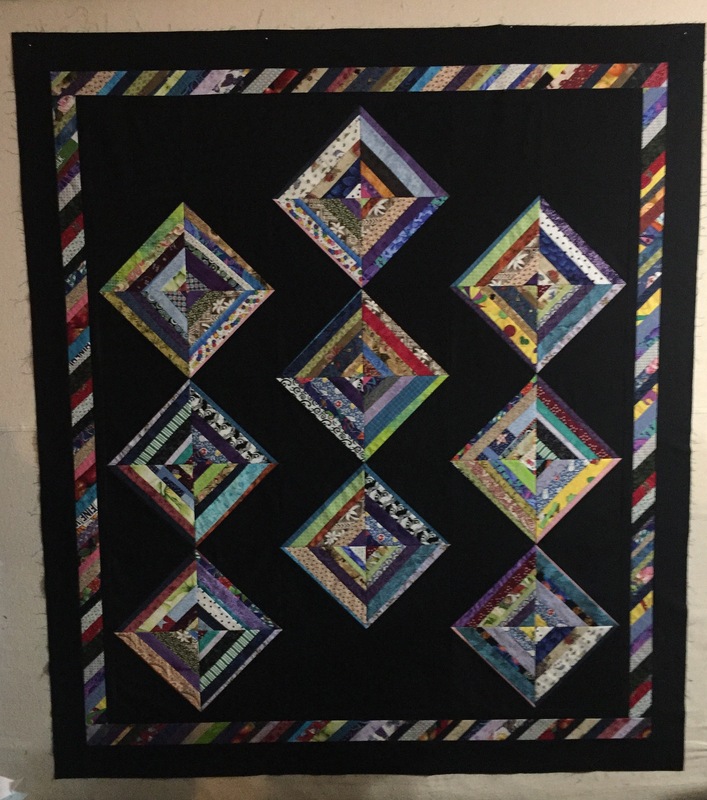 I have my latest string quilt still hanging on the wall. 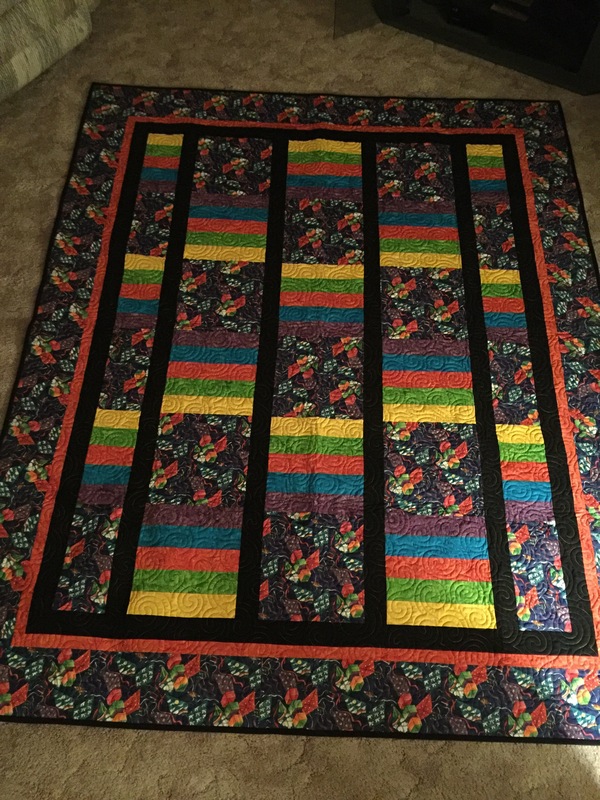 I got the last border put on and it’s ready to be quilted. 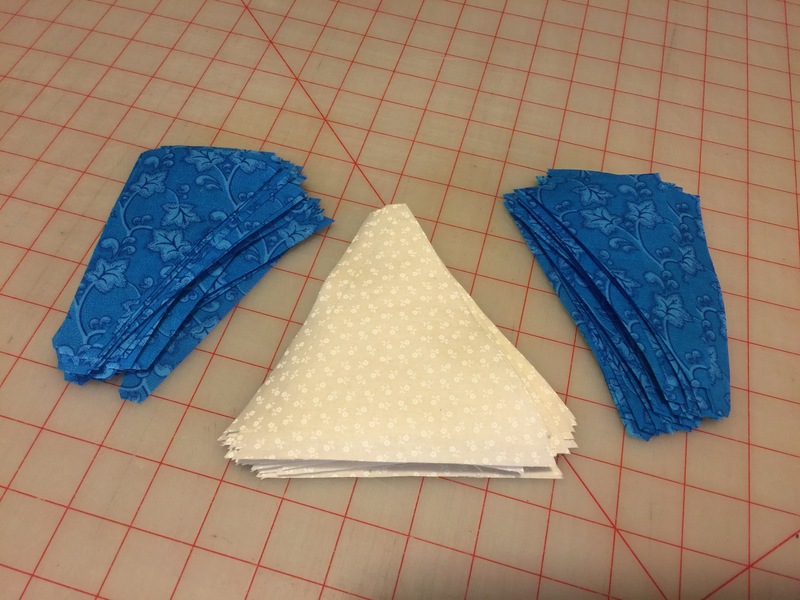 My next project has star blocks in it, so I have some of it cut out. 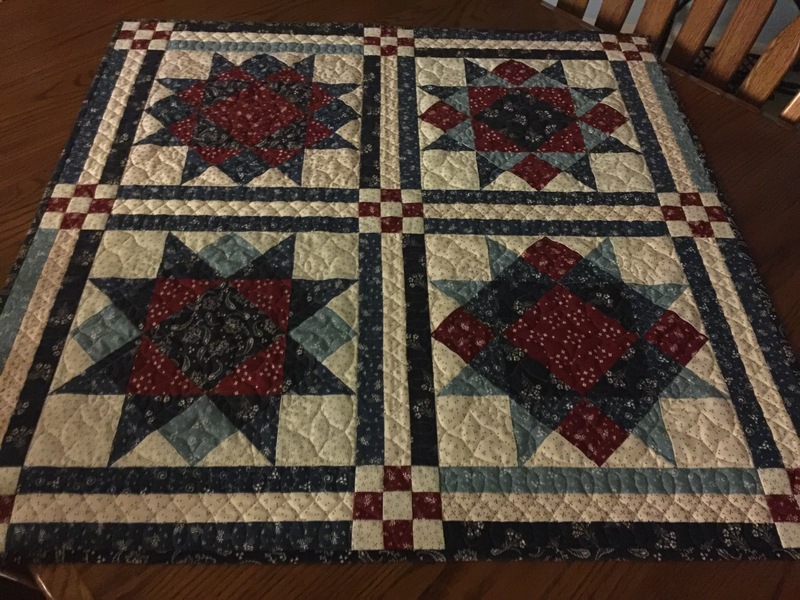 I had a couple of my quilts that needed the binding finished, so I got them done last week. 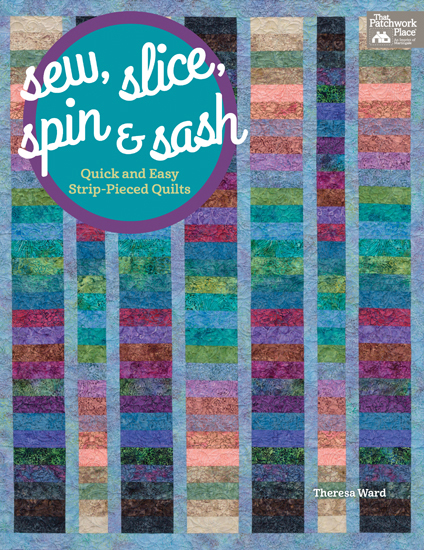 The first one, I used one of the patterns from my book Sew,Slice, Spin and Sash.